SAKURA season is almost there !!! Some kind of cherry blossoms have already started blooming. The most known cherry blossom is called Someiyoshino. Someiyoshino usually become full bloom in end of March. “Hanami” = Doing picnic under the cherry blossom trees. Enjoy watching Sakura, drinking, eating, singing, dancing and chatting ! It’s a typical things to do for Japanese in Spring. Hanami used to be religion and folk things. Since then, it was influenced by Chinese Culture, it had become courtly event. And then, it had become plesure for nobles. 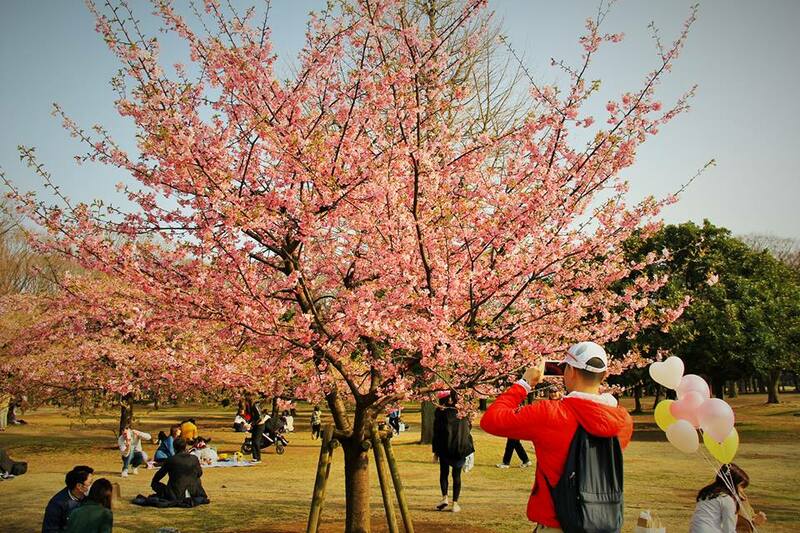 Nowadays Hanami is common event for everyone in Japan. All of our routes can see Cherry Blossoms !!! Moreover, several route will have lunch under cherry blossom trees. How about doing Hanami cycling? It must be miracle experience you’ve never done !!! Cherry Blossom’s the language of flower is “Purity”. Let’s go to bike tour with Tokyo Miracle Cycling Tour !